adidas releases some staple models with a beach theme for more Summer goodness. 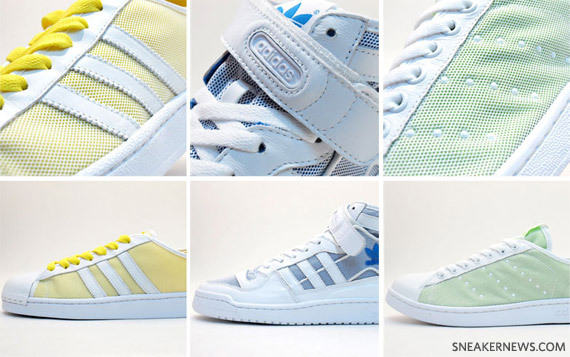 The Superstar, Forum Mid, and Stan Smith each have white leather with white mesh overlapping colored medial panels- each model getting its own distinct colorway. Maybe the idea was to resemble terry cloth beach towels, or maybe those mesh pool beds/chairs. But even if you don’t see it that way, it still gives a light airy feeling which still induces Summer fun. Available already at Mita, expect to see these at local spots soon.